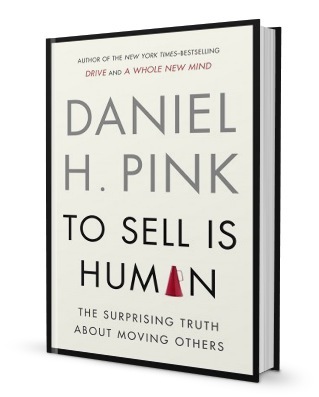 In his latest book, “To Sell is Human, The surprising truth about moving others”, Daniel Pink brings forward significant empirical evidence to support this claim and validate what many have always intuitively known about the term “sales”. The book is also a fun and easy read, giving some historical perspective on where sales has come from in the 20th Century to specifics on where it’s headed in the next decade. Not to mention that it also serves as another great example of the ENMEI concept of “Economic Evolution”. If you consider the term “sales” a dirty word and believe that it has nothing to do with your profession, you should read this book. If your profession falls within the category of sales, you should definitely read this book. Think of a profession, any profession, that you believe has nothing to do with moving others (hence sales) and post in the comments section why you believe it so. I will do my best to counter that challenge and others are encouraged to join in(just remember this is for fun, please play nice in the sand box).